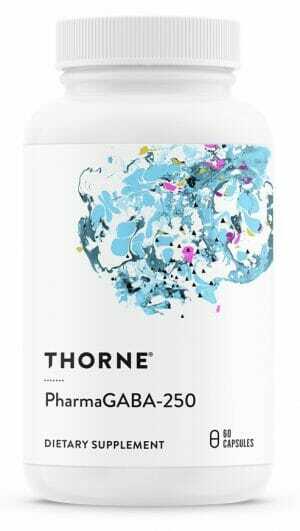 Thorne Research is pleased to present MediBolic – a quality rice and pea based protein powder which contains a number of proprietary blends and ingredients. 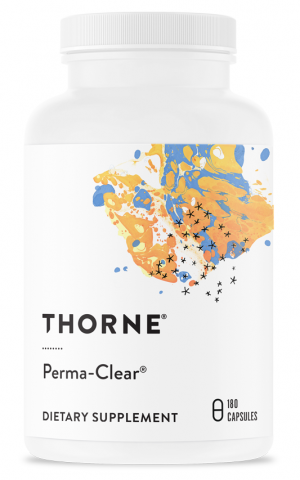 May aid in antioxidant activity, weight management, healthy metabolic functions, and much more! Thorne Research is pleased to present MediBolic – a quality rice and pea based protein powder which contains a number of proprietary blends and ingredients which provide advanced nutritional support. May aid in antioxidant activity, weight management, healthy metabolic functions, and much more! Rice and pea protein are thought to be the safest and highest quality protein sources available for supplementation. 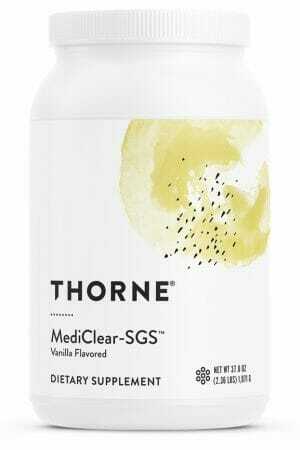 Designed to support metabolism alongside a healthy diet and exercise routine. Contains a number quality and unique proprietary ingredients. May aid in antioxidant activity, weight management, and much more. 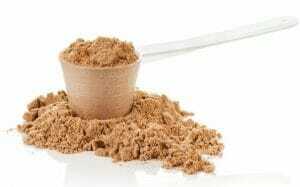 Does it ever feel as though there are simply too many protein powders on the market? Have you struggled to determine which brands, ingredients, and protein sources are right for your specific genetic makeup? If so, then you are far from being alone. Even though most people know to look for rice and pea based protein powders, the options still feel limitless; leaving many to throw their hands up in frustration at the idea of picking just one. Thankfully, Thorne Research is here to make your decision a little simpler with the creation of MediBolic. Why Choose MediBolic Over Other Powders? 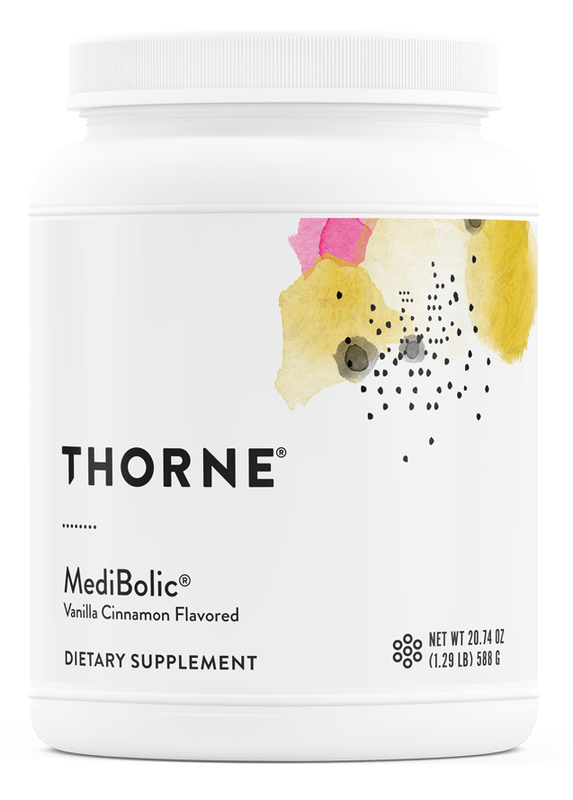 MediBolic uses the highest quality of rice and pea proteins available in combination with a number of essential ingredients which are often (or entirely) missing from other popular supplement brands. 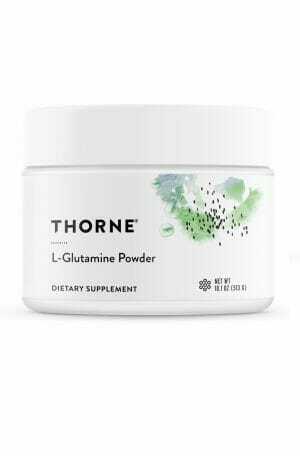 These include a number or patented ingredients and proprietary blends which are capable of providing nutritional support to systems and functions which other powders might not even begin to reach. Said ingredients include Madeglucyl®, CinSulin®, Sunfiber®, and Green tea phytosome. Respectively, these contain Madeglucyl derived from Syzygium cumini, cinnamon extract, water-soluble fiber, and epigallocatechin gallate (EGCG). These ingredients may provide benefits for healthy digestion, antioxidant activity, weight management, healthy metabolism, and more! Caution: As vitamin K interferes with the effect of anticoagulant drugs (like Coumadin), the concurrent use of these agents should be avoided. ††This product uses Albion’s DimaCal® DiCalcium Malate. DimaCal is a registered trademark of Albion International, Inc.
††††This product uses Albion’s TRAACS® Copper Bisglycinate Chelate), Manganese Bisglycinate Chelate, Molybdenum Glycinate Chelate, and Zinc Bisglycinate Chelate. TRAACS is a registered trademark of Albion International, Inc.
††††††This product uses Indena S.p.A.’s jambolan extract (Madeglucyl®). Madeglucyl is a registered trademark of Indena S.p.A. Its use in this product is protected by U.S. Patent No. 5,972,342. †††††††This product uses Tang-An Medical, Ltd.’s cinnamon extract (CinSulin®). CinSulin is a registered trademark of Tang-An Medical, Ltd.
†††††††† This product uses Indena S.p.A.’s green tea phytosome (Greenselect®). Greenselect is a registered trademark of Indena S.p.A.
†††††††††This product uses Albion’s Bororganic™ Boron Glycinate Complex. Bororganic is a trademark of Albion International, Inc. Cinnamomum PE 10:1. Syzygium standardized to 2% ellagic acid (after hydrolysis).